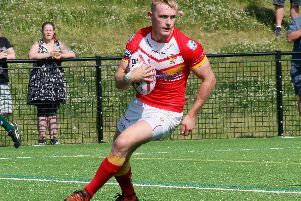 Sheffield Eagles made it back-to-back Betfred Championship victories in dramatic fashion after Pat Walker’s last gasp penalty clinched a 24-22 success at Barrow Raiders. The home side conceded a penalty 25 metres out just before the full-time hooter, and Walker held his nerve to nail the kick to secure a narrow victory for Mark Aston’s side. 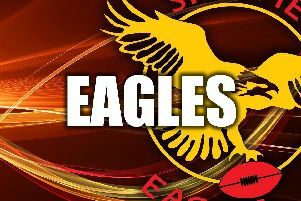 In a game that ebbed one way and then another, it was the visitors who prevailed as Aston’s Eagles maintained their 100% start to the campaign ahead of a home game with Bradford on Friday night. Aston elected to name the same 17 which produced a stunning opening round victory over Swinton Lions, but any momentum from the last weekend was quashed by a vibrant opening 20 minutes from the Raiders. Barrow bagged the opening try when PNG ace Wartovo Puara went over under the sticks, and Jamie Dallimore added the extras. The Eagles eventually found their feet and grew into the contest. The impressive Joel Farrell again showed his strength with a marauding break to score, and Walker nailed the conversion. Barrow thought they were in front again soon after, but Jarrod Stack was penalised for a double-movement when going for the line. Just before the break the Eagles snatched the lead when Walker’s kick was collected by Ryan Millar who crossed the whitewash for an unconverted score. Barrow caught the Eagles napping at the start of the second stanza when Dallimore’s kick off was knocked on. The Raiders took advantage with Stargroth Amean going over in the corner, but Dallimore’s conversion hit the post. The home side hit the front again as Amean barged through the tackles for a converted try, with Aston’s side seemingly still in the dressing room. But the Eagles again regrouped and with Anthony Thackeray scrambling across the whitewash for an important try, Walker crucially converted with the aid of a post. With the game in the balance, Aston’s side again took the initiative with Walker once more instrumental. His clever kick over the top was seized upon by Millar who grabbed his second try, with Walker slotting the conversion. Barrow wouldn’t lie down with Tom Loxam denied a try for a forward pass, but then Josh Johnson crashed over for a converted score to level. With time ticking away, the visitors snatched victory with the last kick, and despite Barrow protests over the award of the penalty, Walker coolly slotted under pressure. Barrow: Ritson; Amean, Cross, Spedding, Loxam; Dallimore, Charnock; Walker, Puara, Johnson; Walne, Smith, Aspinwall. Interchange: Carter, Minoga, Duffy, Stack. Eagles: Guzdek; Millar, Glover, Crookes, Blackmore; Walker, Thackeray; Knowles, Davey, James; Farrell, Davies, Brown. Interchange: Makelim, Pick, P. Burns, Esslemont.